Born on the 4th of July, 1787, in Camden, South Carolina, Chapman Levy studied law and was admitted to the bar in Columbia in 1806. A militia captain during the War of 1812, he served in both the state house and senate from Kershaw County. Attorney and legislator, soldier and master duelist, landowner and brickyard operator, Levy was a man of high profile and influence in his home state for 30 years before moving to Mississippi on the western frontier. Jewish by birth, he is listed in 1808 as an “incorporator” of the Camden Protestant Episcopal Church. In 1820, Levy owned 31 slaves, 20 of whom were employed at his brickyard near Columbia Canal. These numbers, while low compared to plantation slave holdings, made him the largest Jewish slave owner in the United States. He had a hand in many economic enterprises as a creditor and one-man banking operation in the days before organized banks. Active in the Masons, he served as “Worshipful Master” of Richmond Lodge #39, and probably helped found the Jewish burial society in 1822. The oldest surviving Jewish grave in Columbia belongs to his first wife, Flora, who died in 1823 after five years of marriage. He soon married a second time but this marriage too ended with the premature death of his wife Rosina in 1828. 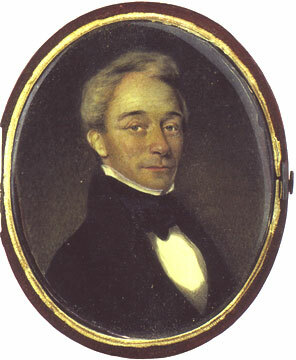 Levy returned to his home town of Camden in the late 1820s and formed a law partnership with his lifelong friend, William McWillie. At the Nullification Convention of 1832, Levy argued vigorously against the right of a state to disobey a federal law. His legal work drew him to the western territories from which the Indians were being expelled, and in 1838 he and McWillie moved to Mississippi. Almost immediately he was urged to run for Congress and five years later was nominated for governor on the Democratic ticket, but he declined to run. (McWillie would later run for governor and win.) Levy died in 1849, at age 62, and was buried at McWillie’s plantation home, Kirkwood, in Mississippi.